Bookcliff Country Club’s course measures just over 6,600 yards. 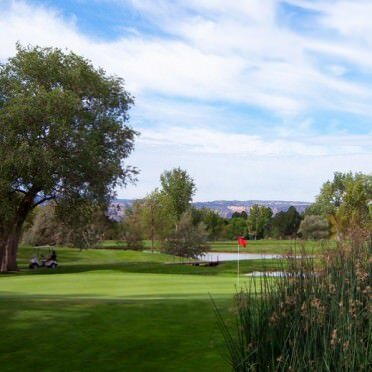 This course, located in Grand Junction, Colorado, provides multiple challenges through its length, lush fairways offering very little roll and a testing design. Also featuring heavy bluegrass rough and water hazards, the course has been known to “build a little character” even in the best of players. Bookcliff Country Club's course measures just over 6,600 yards. This course, located in Grand Junction, Colorado, provides multiple challenges through its length, lush fairways offering very little roll and a testing design. Also featuring heavy bluegrass rough and water hazards, the course has been known to "build a little character" even in the best of players. Take I-70 to Grand Junction. At Horizon Drive (Exit 131), go south .5 mile and turn right on G Road. Make an immediate right to the golf course. Dress Code: No denim. Collared shirt and bermuda shorts required.